Santiago, Chile, June 11, 2013– LATAM Airlines Group S.A. and its subsidiaries, (“LATAM Airlines Group” or “the Company”) (NYSE: LFL / IPSA: LAN / Bovespa: LATM11), the leading airline group in Latin America, today reported preliminary monthly traffic statistics for May 2013 compared to May 2012. System passenger traffic increased 4.4% as capacity declined 0.3%. As a result, the Company’s load factor for the month increased 3.5 points to 79.4%. International passenger traffic accounted for approximately 53% of the month’s total passenger traffic. Domestic passenger traffic in LATAM Airlines Group’s Spanish speaking operations (Chile, Argentina, Peru, Ecuador and Colombia) rose 11.7%, as capacity increased 13.6%. As a consequence, the domestic passenger load factor decreased 1.3 points to 75.3%. Domestic passenger traffic in Brazil increased 7.5%, as capacity decreased 11.0%. As a consequence, the domestic Brazil passenger load factor increased 13.5 points to 78.4%. International passenger traffic increased 0.8%, while capacity increased 4.2%. Accordingly, the international passenger load factor for the month decreased 2.8 points to 81.2%. International traffic includes international operations of both LAN and TAM on regional and long haul routes. Cargo traffic rose 1.5% as capacity increased 1.5%. As a consequence, the cargo load factor remained flat in 58.2%. The growth in cargo capacity is a result of increased availability in the belly of passenger aircraft partially offset by reduced freighter operations. The increase in cargo traffic was mainly driven by delayed seasonal demand. About LATAM Airlines Group S.A.
LATAM Airlines Group S.A. is the new name given to LAN Airlines S.A. as a result of its association with TAM S.A. LATAM Airlines Group S.A. now includes LAN Airlines and its affiliates in Peru, Argentina, Colombia and Ecuador, and LAN Cargo and its affiliates, as well as TAM S.A. and its subsidiaries TAM Linhas Aereas S.A., including its business units TAM Transportes Aereos del Mercosur S.A. (TAM Airlines (Paraguay)) and Multiplus S.A. This association creates one of the largest airline groups in the world in terms of network connections, providing passenger transport services to about 135 destinations in 22 countries and cargo services to about 144 destinations in 27 countries, with a fleet of 316 aircraft. 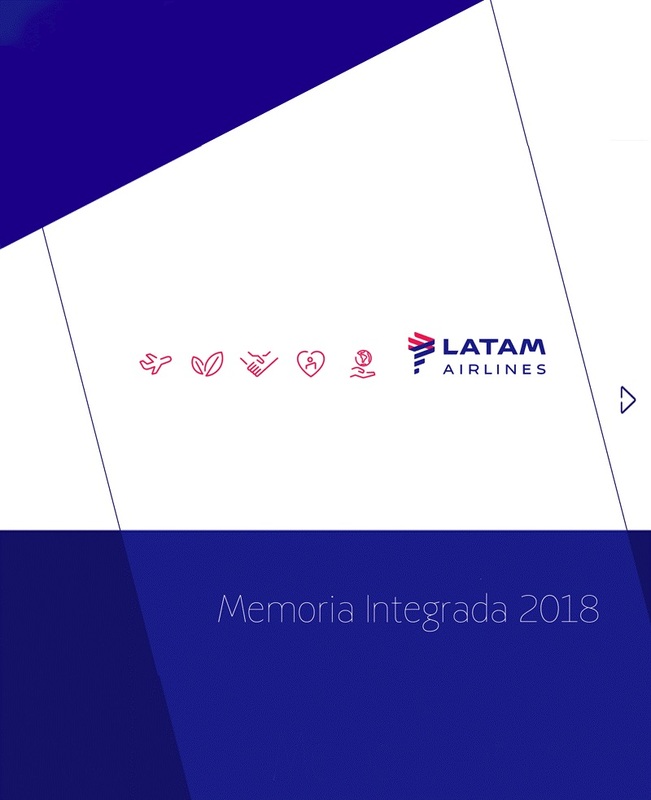 In total, LATAM Airlines Group S.A. has more than 53,000 employees and its shares are traded in Santiago, as well as on the New York Stock Exchange, in the form of ADRs, and Sao Paulo Stock Exchange, in the form of BDRs.